BJP national president Amit Shah has urged the party cadre to donate some part of their salary every month, in order to reduce the party's dependency on external donations. 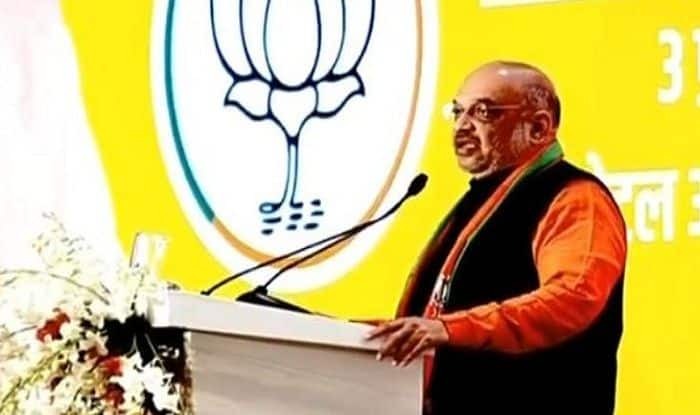 New Delhi: Addressing party workers on the 51st death anniversary of BJP’s ideological guide Deen Dayal Upadhyay, party national president Amit Shah on Monday said that the BJP needs to reduce its dependability on donations. Shah asserted that the party’s path to reach its goals will be maligned if it depends on donations from ‘moneybags, builders, contractors and those with black money’. Amit Shah then further urged the cadre to try and contribute some part of their earning to the party. Not only did Amit Shah assert this but also demonstrated this pledge and said, “Modi ji and I have already made our contributions.” He added at least two in every booth across the country should contribute Rs 1,000 through Prime Minister Narendra Modi’s app or through cheques. Speaking on length, the BJP national president said that the party workers in the future should be able to say proudly that they ran the party from their money and some “industrialist, contractor, money bag or builder cannot run it”. In addition, the party national president called for a public debate on the issue of managing election expenses. This development interestingly comes days after an election watchdog called Association for Democratic Reforms (ADR) published a report stating that more 50 per cent of the funds received by national parties during 2017-18 came from ‘unknown’ sources. According to it, the total income of BJP, Congress, CPI, BSP, TMC, and NCP in 2017-18 was Rs 1293.05 crore. The income of these parties from “unknown” sources was Rs 689.44 crore, which is 53 per cent of their total income.